How To Treat Chikungunya Naturally? Chikungunya is a viral borne disease caused by infected female mosquitoes-Aedes aegypti and Aedes albopictus and having No cure. The biting of these mosquitoes is more common in the early morning and early evening. The word chikungunya is derived from Kimakonde language whose meaning is ‘to become contorted’. The biggest factor for the disease is the breeding of mosquitoes nearby human settlement. The disease has been reported in different parts of the world such as Africa, Asia, Europe and America. The No cure disease can be managed and treated through Alternative Medicine such as Homeopathy, Ayurveda, Yoga, Siddha, Home remedies, Naturopathy and Unani. Enzyme-linked immunosorbent assays (ELISA) test where IgM antibody is continuously highest. Reverse transcriptase-polymerase chain reaction (RT-PCR). There is no as such medicines are available for the treatment of chikungunya but through Alternative Medicine and home remedies, it can be treated, prevented and control to a greater extent. Here, I will elaborate how Ayurveda, Yoga, Homeopathy, Naturopathy, Siddha, Home Remedies and Unani are helpful in prevention and treatment of chikungunya. Try these effective natural home remedies to reduce the ferocity of fever and joint pain to certain extent. The combination of honey and lime juice is helpful in this case. The application of garlic paste in the joint regions is helpful to ease joint pain. The mix of honey (1tsp), warm water (200gram) and celery seeds (3gram) is useful. Eating and crunching carrot is helpful to ease joint pain. Grapes and Cow milk is beneficial in chikungunya. The juice of papaya is good during the disease. The light massage at the joint region is helpful. Stew peppers are rich in anti-inflammatory properties, may be taken to subsidise pain. Vitamin C and leafy green vegetables should be preferred. Use ginger and turmeric frequently in your diet. Coconut water is quite beneficial in such cases. The drinking of wheat grass juice is helpful to ease the various symptoms. Boiled water (1 litre), Tulsi leaves (10) and coriander powder (10gram) for 10 minutes followed by cool it. Consume it after the interval of three hours for the whole day to ease the symptoms of chikungunya. Its fever can be managed by taking Tribhuvan Kriti (125-250mg) twice a day for 5 days. Vettumarana Vati (125-250 mg) may be taken twice a day for 7days, is also helpful to control its symptoms. Take Ashvagandha powder (5gm) with milk to overcome fever. For chikungunya patients, practicing of Pranayama and doing some light loosening yogic exercises is helpful. Practice Sitali and Sheetkari Pranayama to minimize the severity of fever. To ease joint pain, one should practice loosening yogic exercises like to and fro of toes, up and down of wrists to by straightening your legs and hands respectively. Practice of Chandrabehdi Pranayama is good to reduce fever. Nadishodhan Pranayama is also helpful. In Naturopathy, hot fermentation of the affected joints is beneficial. Application of ice cold pack over the forehead. Rub your body lightly with soaked water cloth to reduce fever. Consult your nearby Naturopathy physicians for better management of the disease. Unani medicine is good in the prevention and management of chikungunya fever. Habb-e-lkseer Bukhar (2 pills) with lukewarm twice a day is good to reduce fever. Unani medicine like Habb-e-Asgand (2 pills), twice a day is helpful in reducing fever of chikungunya. In such case, the immunity level of a person gets reduce, for that one should take Khamira Marwareed (4gram) twice a day. Unani repellent like Raughan-i-neem and Raughan-i-Kameela can be used on the skin. Homeopathy medicine is beneficial in curing of chikungunya fever. After consultation with the physicians, one can take Homeopathy medicines as per the symptoms. 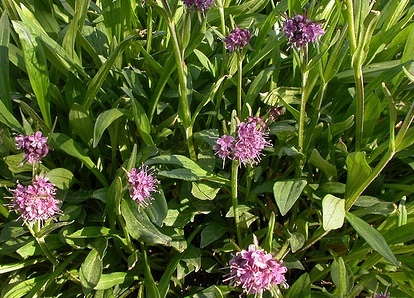 Eupatorium perfolatum: This homeopathic medicine is effective for all the symptoms of chikungunya fever. Siddha medicines are useful in the treatment and management of chikungunya fever. After the consultation of Siddha doctor, following Siddha medicine can be taken. Arumuga chendooram, Nilvembu kudineer, Amukkara Chooranam, Vishnu chakkara mathirai, Trikadugu choornam, Linga chendooram, Bramanandha bairavam, etc. We all know the proverbs ‘prevention is better than cure’ is appropriately suited for this disease. Here, some of the preventive measures are given to control chikungunya. It is suggested to take maximum rest. Take more and more fluids to prevent dehydration. Fogging of the area should be frequent. Advised to wear cloth like full sleeves and long pants or trousers to protect your body from mosquito exposure. It is quite effective if repellents contain DEET (N, N-diethyl-3-methylbenzamide), IR3535 (3-[N-acetyl-N-butyl]-aminopropionic acid ethyl ester) or icaridin (1-piperidinecarboxylic acid, 2-(2-hydroxyethyl)-1-methylpropylester). Using nets should be encouraged. One can take medicine like paracetamol to reduce fever after consultation with your physician. How Ayurveda Medicine is Good for Common Cold and Cough? I am a mother of 4 years old baby. My baby girl has symptoms of Chikungunya. Are the above home remedies good for her?